For strong, healthy-looking hair, take a permanent vacation from the stripping chemicals and damaging sulfates in ordinary shampoos. Instead, discover Alba Botanical Real Repair Cocoa Butter Shampoo, a renewing cleansing experience. 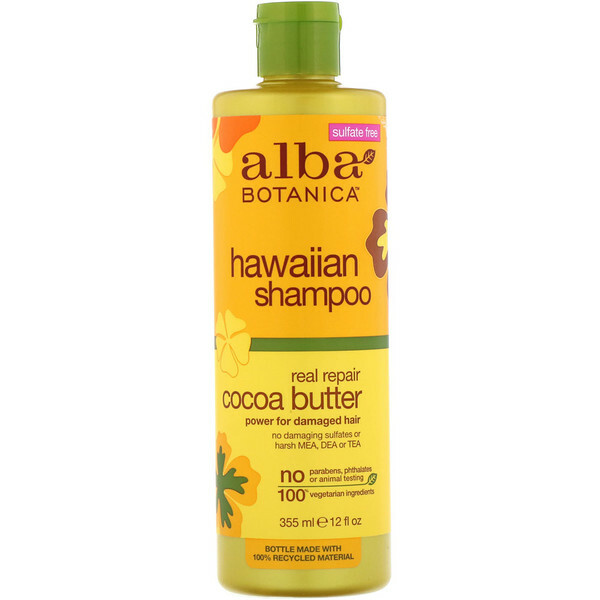 Cocoa butter creates a protective barrier around the hair shaft to improve elasticity and minimize breakage. Aloe and kelp nourish and restore vibrancy. Cleansed without harsh chemicals, hair gets its strength back. Time to butter up, beautiful! Aqua (water), cocamidopropyl hydroxysultaine, sodium cocoyl isethionate, glycerin, disodium cocoyl glutamate, theobroma cacao (cocoa) seed butter¹, aloe barbadensis leaf juice¹, ananas sativus (pineapple) fruit extract¹, calendula officinalis (calendula) flower extract¹, carica papaya (papaya) fruit extract¹, chamomilla recutita (matricaria) fruit extract¹, chenopodium quinoa seed¹, cocos nucifera (coconut) fruit extract¹, macrocystis pyrifera extract, zingiber officinale (ginger) root extract¹, alcohol¹, citric acid, coco-glucoside, dehydroacetic acid, glyceryl oleate, guar hydroxypropyltrimonium chloride, panthenol, sodium chloride, benzoic acid, benzyl alcohol, phenoxyethanol, potassium sorbate, sodium benzoate, benzyl benzoate, fragrance (parfum). 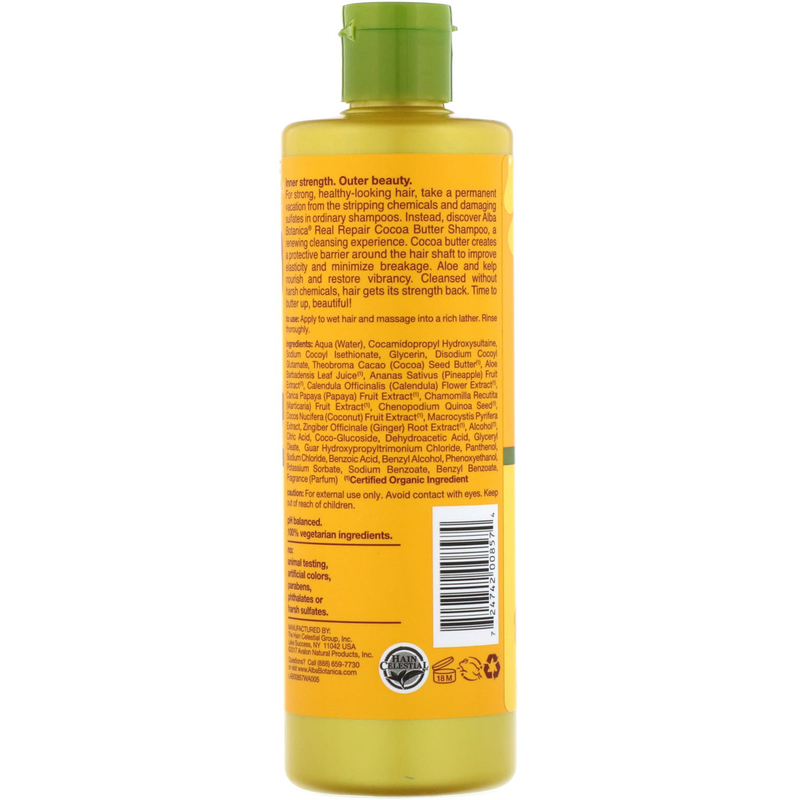 No: Artificial colors, parabens, phthalates or harsh sulfates.